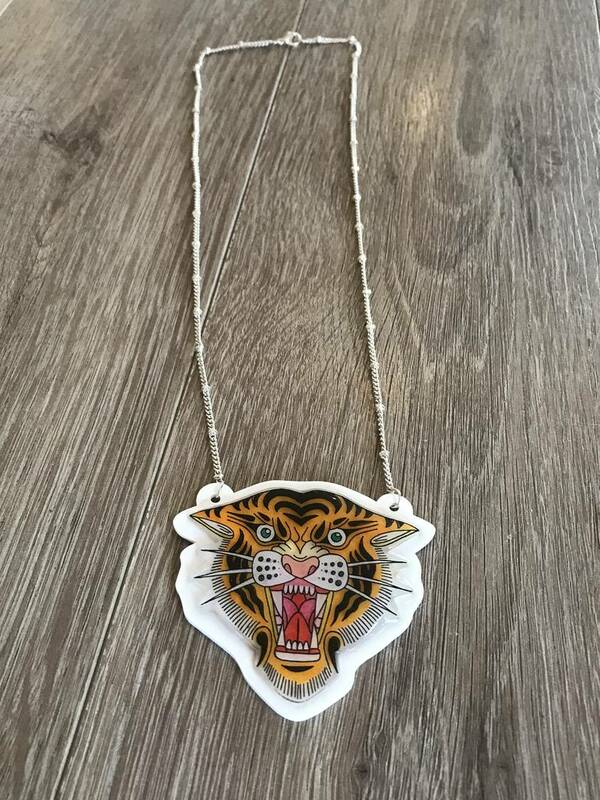 Fine detailed FIERCE Tiger roaring necklace, show em your wild side with this bold necklace. 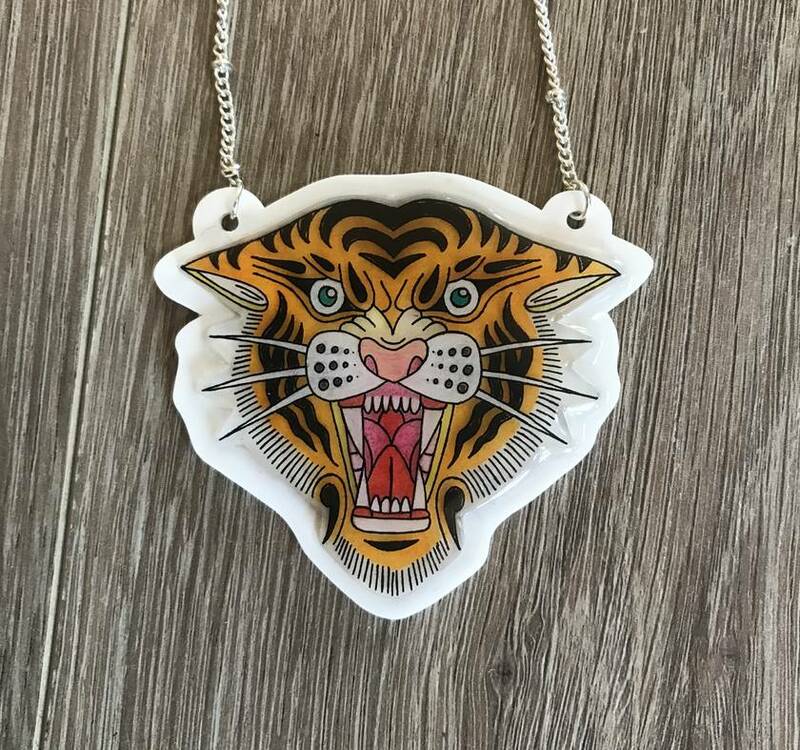 Hand coloured and cut unique tiger necklace. Silver Plated. Pendant height 58mm. 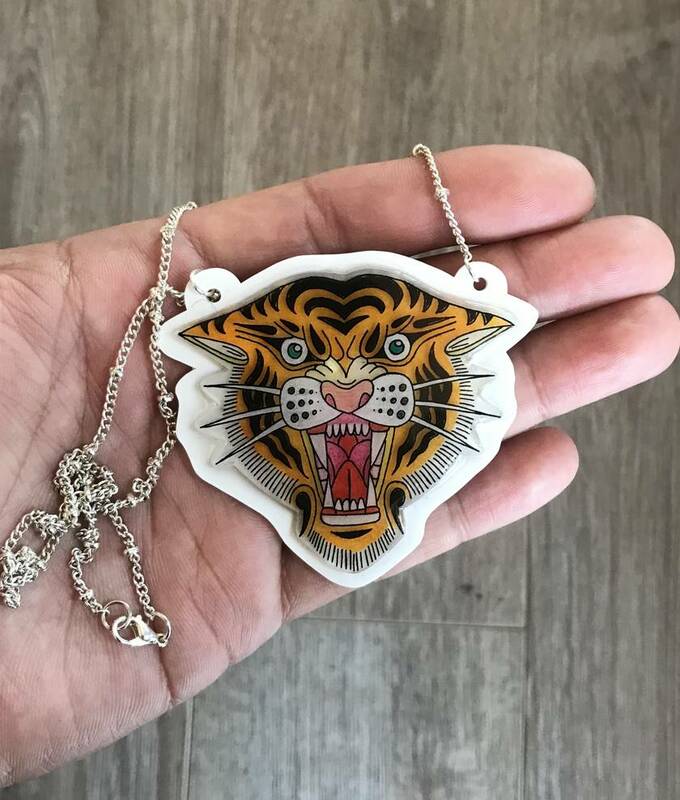 Tiger 60mm. Silver plated chain length 18 inches.